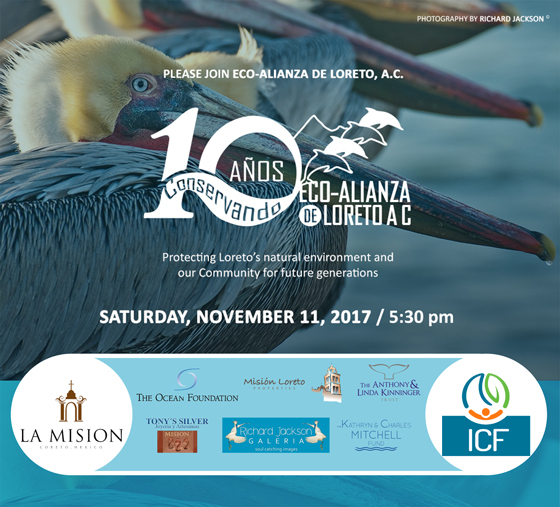 Soundings: October Issue – Eco Alianza de Loreto | Loreto, B.C.S. 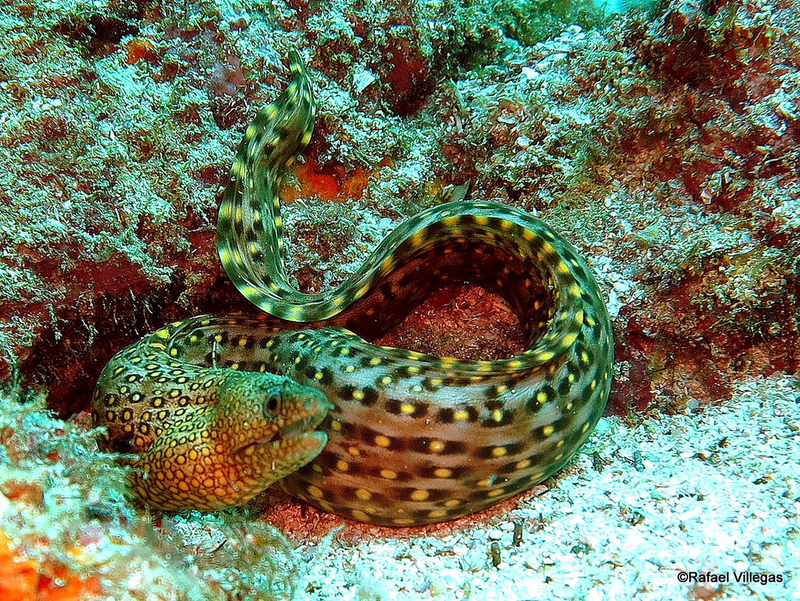 Reefs and rocky outcroppings are key to maintaining healthy marine ecosystems. As reported in last month’s Soundings, Eco-Alianza is beginning to take a more active role in a multi-institutional collaboration that began back in 1998, and has resulted in more than 40 published scientific studies concerning the Gulf of California. Leading institutions include the Scripps Institution of Oceanography at U.C. San Diego, University of California Institute for Mexico and the United States (UC Mexus), the Center for Marine Biodiversity and Conservation, and the Ezcurra Lab. Locally, Loreto’s Dolphin Dive Center, Eco-Alianza, and the local branch of the state university (UABCS) are collaborating to recruit and train divers and snorkelers as “citizen scientists” who will take part in the long-term seabed monitoring project and potentially other studies. Divers interested in participating must pass certain medical criteria, have at least 30 dives, and meet other qualifications. Study participants observe and record seabed organisms. 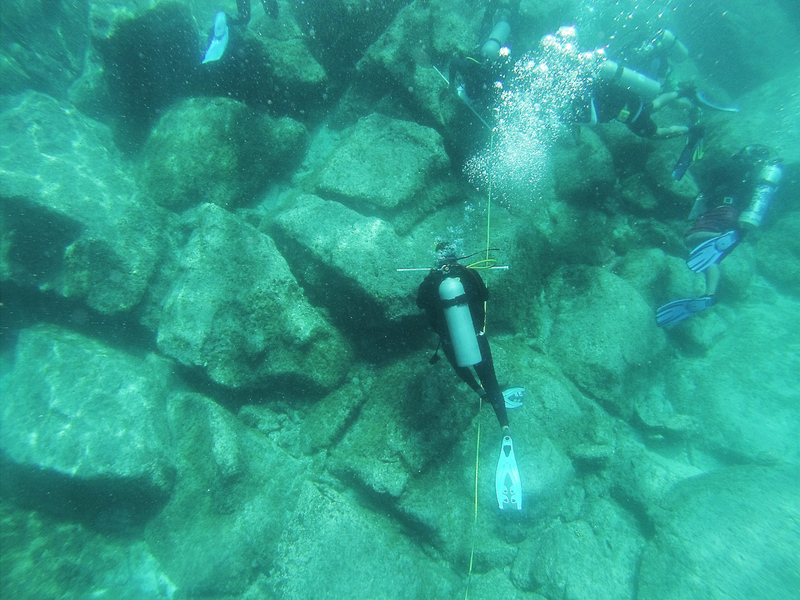 Earlier this month, about 20 people participated in the first two days of what will be a week of training, including classroom sessions at Eco-Alianza’s CenCoMA headquarters and hands-on underwater training sessions. Citizens participating will monitor sea life throughout the year in specific locations. 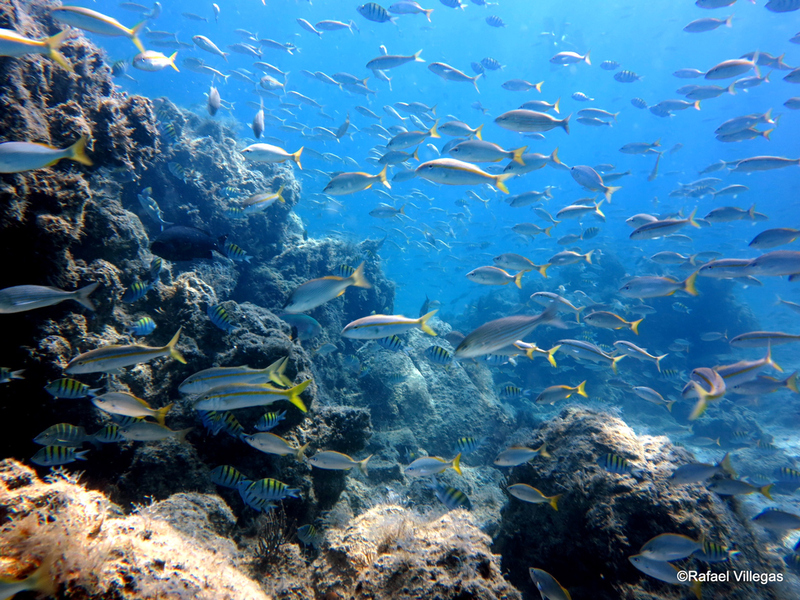 This study includes hundreds of species of sea life, and is focused on the health of reefs and rocky outcrops in dozens of conservation-critical locations throughout the Gulf of California. As this issue of Soundings goes to “press,” we have fewer than 10 tickets left for our November 11 gala. If you have for any reason delayed reserving your seats, now is definitely the time. The tenth anniversary only happens once, and for anyone concerned about the environment and natural resources in Loreto, we will have some very exciting news to share. Click here for tickets or to make a supporting donation. Of course, as mentioned when tickets went on sale last month, we also have a bevy of very enticing silent auction items, a great live band, wonderful appetizers and dinner catered by La Mision Loreto Hotel, and 17 amazing items and experiences in our live auction. The event is an important milestone for Eco-Alianza and will certainly be an evening to remember. If you can’t make it in person, please consider making a supporting donation, which will be recognized at the beginning of the evening. 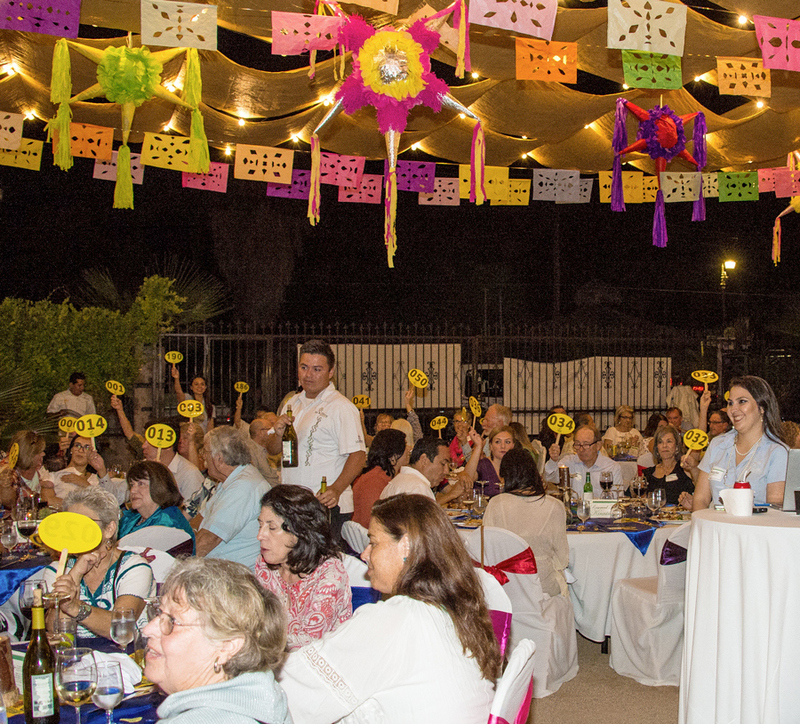 Unlike most organizations, Eco-Alianza does not pester you during the holidays with an “annual appeal” — this dinner/auction event generates more than 80 percent of our annual support from individuals. Supporting donations can be made directly through the ticket portal linked above, or at any time during the year through the ecoalianzaloreto.org website. Thank you so much! Once event tickets are sold out, we will close down the online ticket portal and maintain a first-come, first-served, in-person waiting list at Eco-Alianza’s CenCoMA headquarters. Ask for Edna Peralta, or sign up on the list in the main lobby. Word seems to be circulating around Loreto that the Bay of Loreto National Park has a new tool to boost monitoring and enforcement efforts regarding inappropriate activities within the Park. Indeed it is true, as the video linked below shows. 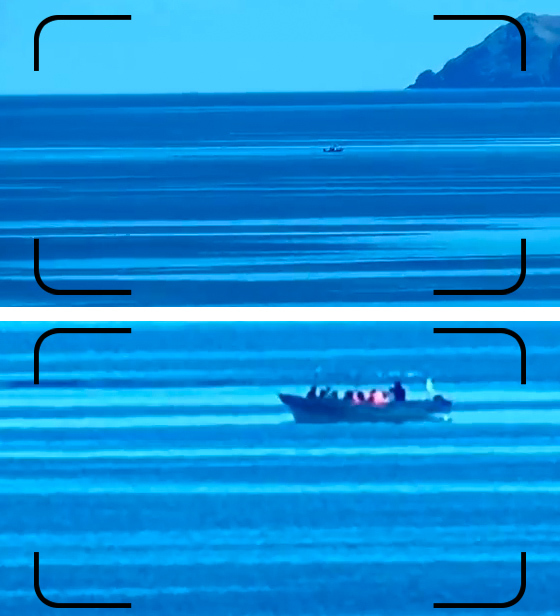 In addition to its new patrol boat and motors, which Eco-Alianza and its members were instrumental in helping to provide (see September Soundings), the Park is now logging many hours of important observation work with high-powered cameras (with recording capability). Additional cameras, and the potential to add complementary technology to integrate a radar system with the camera, could result in a significantly more robust detection system in Loreto (especially at night and when park rangers are busy and not operating the camera). As reported previously in Soundings, Eco-Alianza is part of a collaboration with three other Mexican nonprofit organizations to strengthen monitoring and enforcement efforts in Natural Protected Areas (NPAs), especially marine parks. The collaboration is called Paralelo 28 (more information at Paralelo28.org). To help fund surveillance and enforcement efforts, the groups are jointly embarking on two “retail” efforts, which were explored locally in a meeting earlier this week with representatives of Loreto’s tourism-related businesses, hotels, tour guides, and restaurants. 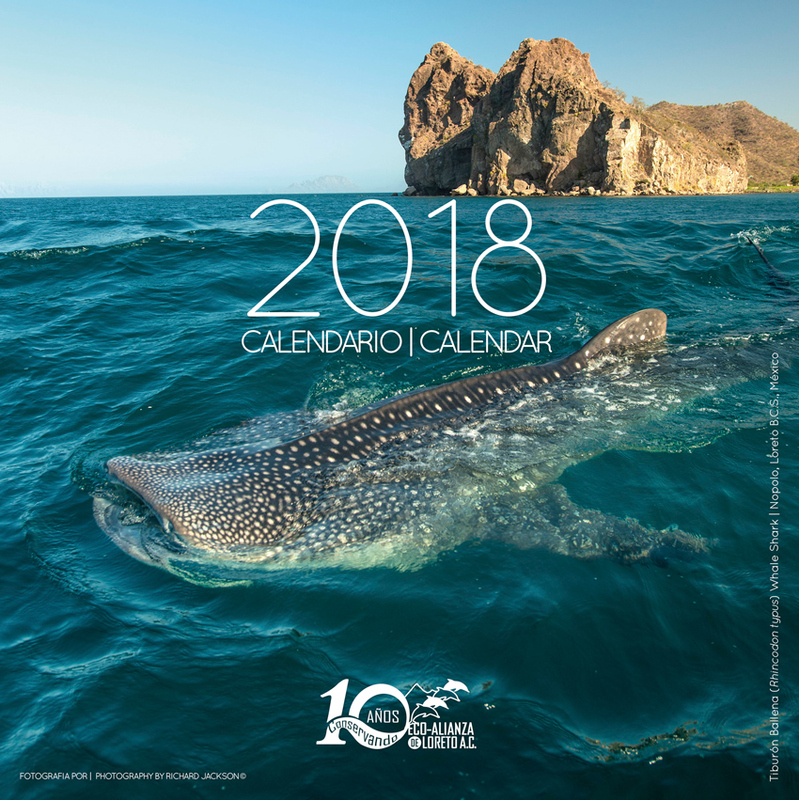 Plush stuffed animals (whale sharks and manta rays) will be offered for sale through Eco-Alianza and potentially through local hotels, stores, or restaurants. Additionally, the collaboration is marketing specifically to restaurants a suite of compostable takeout containers, cutlery, and other restaurant-oriented items. The sales would serve complementary purposes — reducing the amount of plastic and styrofoam waste that ends up in landfills and marine parks, and providing a small “profit” to support enforcement and surveillance efforts. The containers are already being purchased and used widely by restaurants in La Paz and Los Cabos. Please consider supporting these efforts in whatever way you deem appropriate! When it rains here during warm weather, as it did a month or so ago, a cycle is set in motion. Plants explode with greenery, flowers bloom profusely, plant loving organisms belly up to the great new salad bar to do life in a hurry, and butterflies just seem to appear amid the bustle. This year, without much rain, butterfly numbers are a bit off, but they are still here in noticeable numbers. 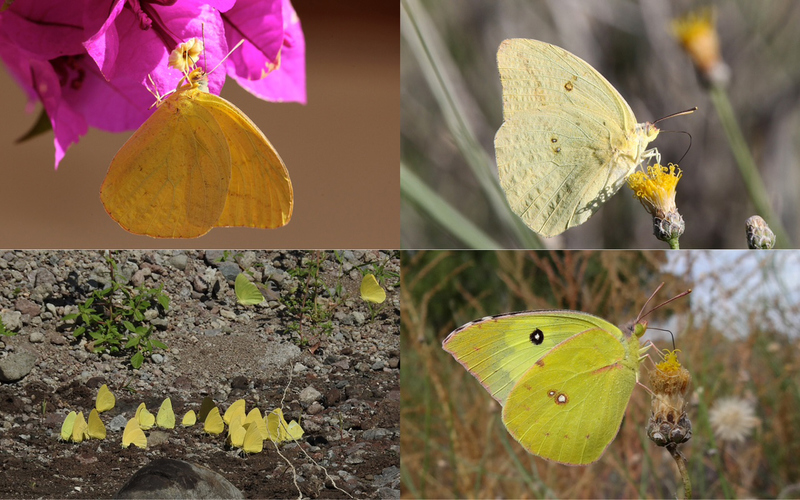 There will suddenly be several species of yellow butterflies here, more of some than others, in many cycles, but nearly always including members from among these species: Large Orange Sulphur, Cloudless Sulphur, Statira Sulphur, Southern Dogface, Mimosa Yellow, Little Yellow, Sleepy Orange, Tailed Orange, and other yellow ones, usually in lesser numbers. Some spend the dry time in a state of metamorphosis that ends abruptly when the rain signals the return of plenty, and they burst forth from their chrysalises as adults and flutter off looking for mates, places to lay eggs, and stuff to eat. This year, so far, the one I am seeing most frequently is the large Orange Sulphur. When a cloud of bright yellow butterflies swirls by, you may be forgiven for thinking they are all the same, but they probably are not. They are individuals, and as such are apt to have differences in hues, patterns, and behaviors, i.e., Darwin and Wallace. Some of our yellow ones here are so closely related that those individual differences can cross already blurry lines and make identification next to impossible. One of the things they are looking for is wet earth, from which they syphon minerals to augment their almost pure sugar diet. This is called, “puddling”. In the photo of the puddling group, taken earlier this month, there are at least five species. You can find scenes like this just about anywhere there is a bit of wet earth. The waters at the sides of the road up to San Javier seem to have a very large share of puddlers this year. 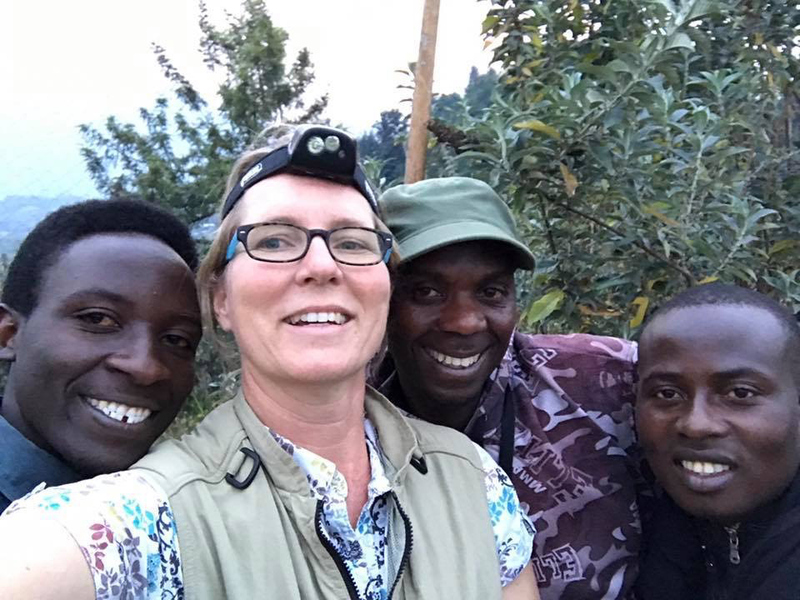 Dr. Winifred Frick, pictured last month with researchers and research subject, doing bat research in Rwanda. 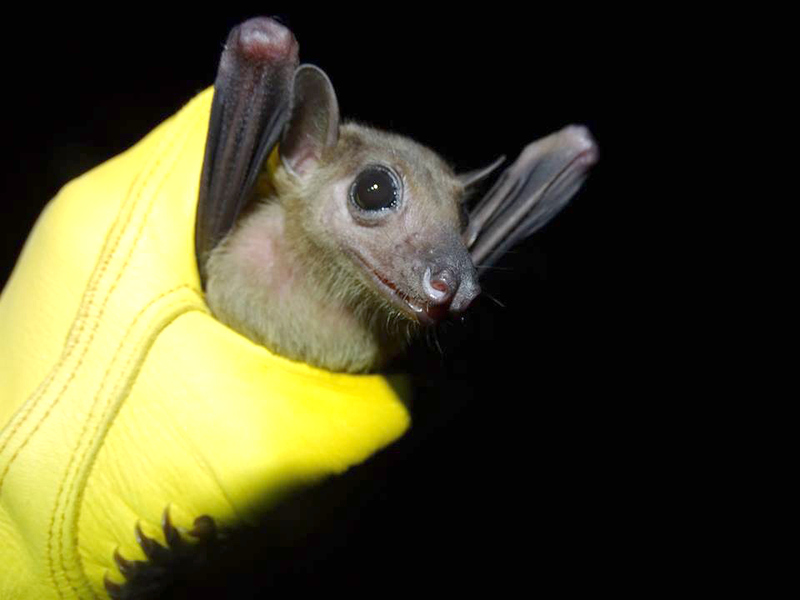 Dr. Winifred Frick, who is familiar to many Loretanos for her bat presentations at Eco-Alianza, is again published, along with many international bat researchers, in a study that shows the importance of bats’ incredible aerial abilities as they relate to ecosystem health. Dr. Frick, who is now the Senior Director of Conservation Science for Bat Conservation International in Austin, TX, has conducted and led bat research in and around Loreto and Baja California Sur. Her team often uses her home in Loreto as a base for bat research in the region, including in the Bay of Loreto National Park. She is also a member of Eco-Alianza’s Advisory Board of Directors.